Imitation is the most sincere form of flattery. If we are to sincerely flatter God by being like him, imitation may be the most costly form of flattery as well. You see, love for God is never something that occurs just in our minds or our hearts. Love is something we do for another — it is action. John said in 1 John 4 that we must love in both our deeds and our words. Love means to give ourselves up — what we want, our rights, our desires — to honor God and serve others. This is a kind of love that can change the world, or a marriage, or a family. Abba Father, I will never fully understand how you could love me so much that you would allow your son to die for me, as my sacrifice. 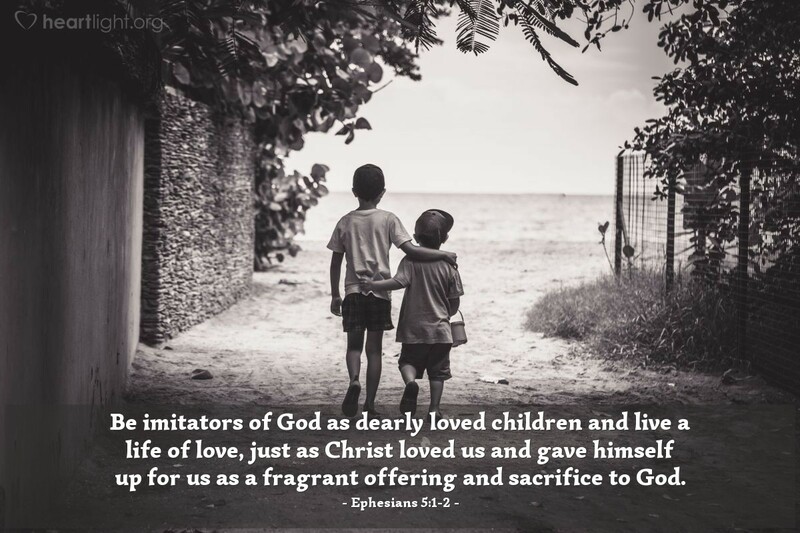 Please help me love others sacrificially. I know the power to do this is not within me, so please pour your love into my heart so that I may share that love with others. Through Jesus, my brother and my sacrifice, I pray. Amen.